I think most hams have seen classic green Heathkit equipment, including well known QRP rigs like the HW-7 and HW-8. 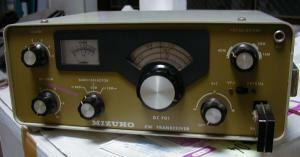 Back in the mid '70s Mizuho made some very similar QRP equipment in a more subdued olive green. The Mizuho QRP rigs of the day had some interesting innovations, including, in some cases, built in single lever paddles for the CW rigs. 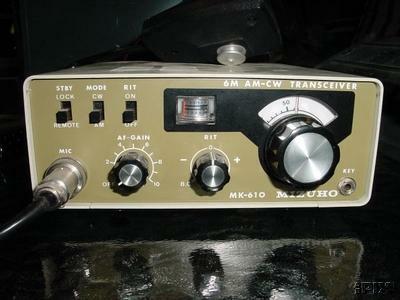 The Mizuho MK-610 reminded Dave Feldman, WB0GAZ, so much of the old Heathkit Sixer in functionality that he dubbed it "Sixer-san". DC seems to mean "Direct Conversion", which is thre receiver type found in all the Mizuho dedicated CW rigs of that period. The last radio of that series, the DC-7X, abandoned the green color, much like Heathkit's HW-9. 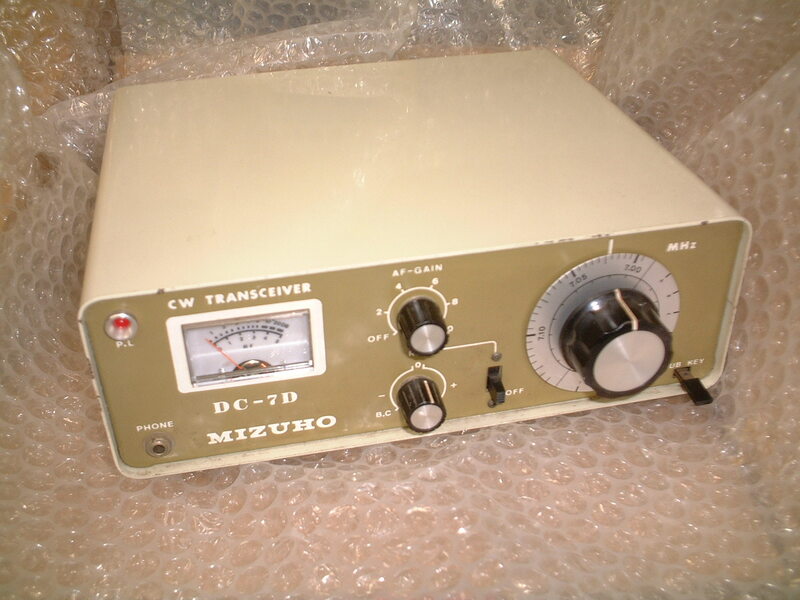 In addition to the DC series and the MK-610, Mizuho also produced the SB Series of SSB transceivers throughout most of the 1970s. Prior to the DC-7D there was an even earlier (prototype?) model, the DC-7. This radio is exceedingly rare, even in Japan. Photos and information on the DC-7 will be added if and when they can be found.